I am striving to create new and unique photos that aren’t just assisted by the location. Yes I absolutely love being able to travel the world to photograph elopements in places such as New Zealand, Morocco, Nepal, USA and many more! But let’s face it, you can take a good photo with an iPhone in those locations. My new EXTREME passion for shooting film/analog cameras has now seeped into my weddings and elopements. 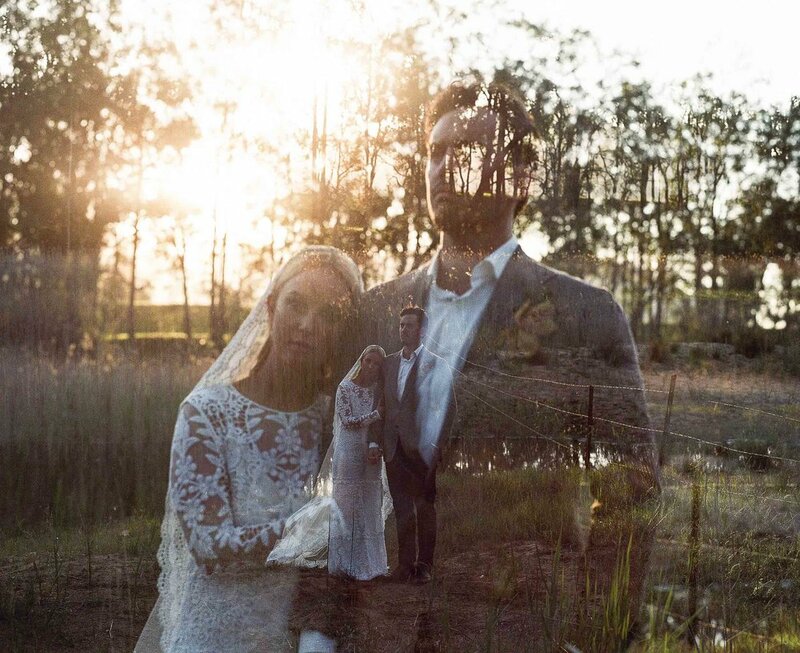 Creating nostalgic and timeless images using the old process of film with the dark room processing, film negatives, scanning etc… has me extremely excited to create different and unique wedding images. The groom of this wedding was of one of my good mates Ben who also has a passion for film. I offered to shoot his wedding all on film and a special shout out as well to my good friend and amazing photographer Alex from Third Wheelin Co who let me come and shoot over his shoulder for the day haha. This was my first wedding all on film and I hope it isn’t my last! I do offer packages where I can shoot all on film for you guys! So if you want something super unique, different, nostalgic and amazing, please get in touch with me about my film packages. Check out this short blog of some of my favourites.